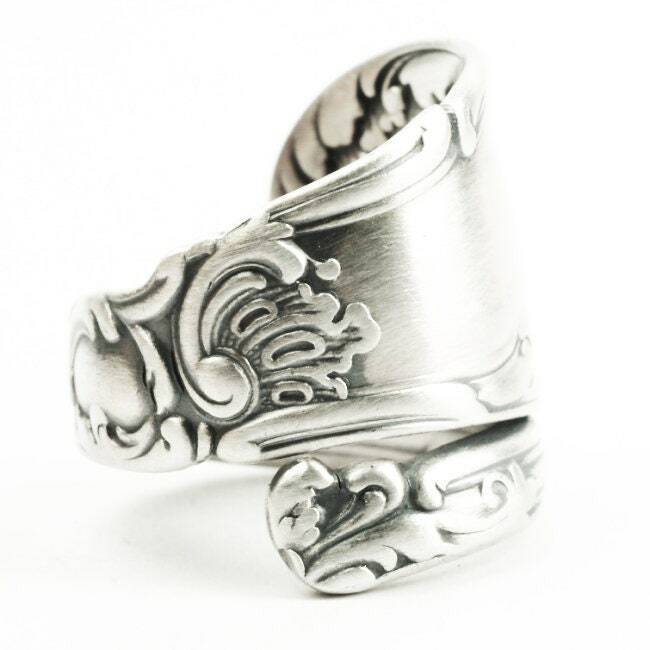 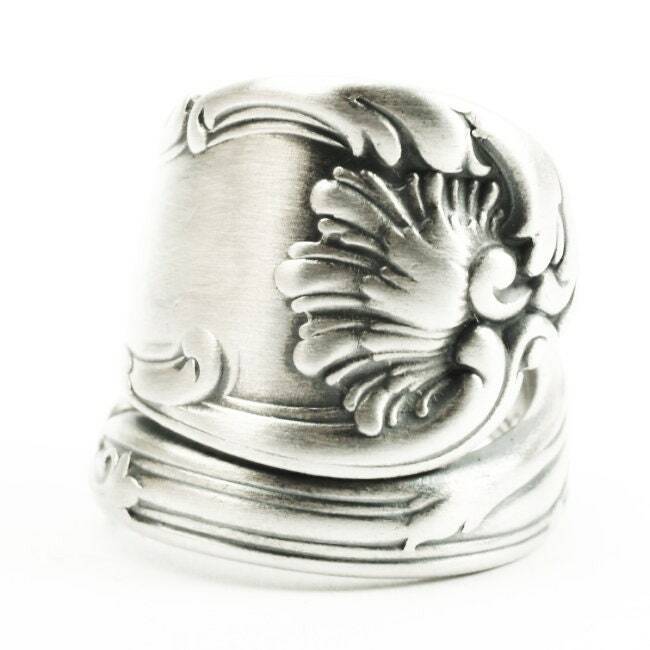 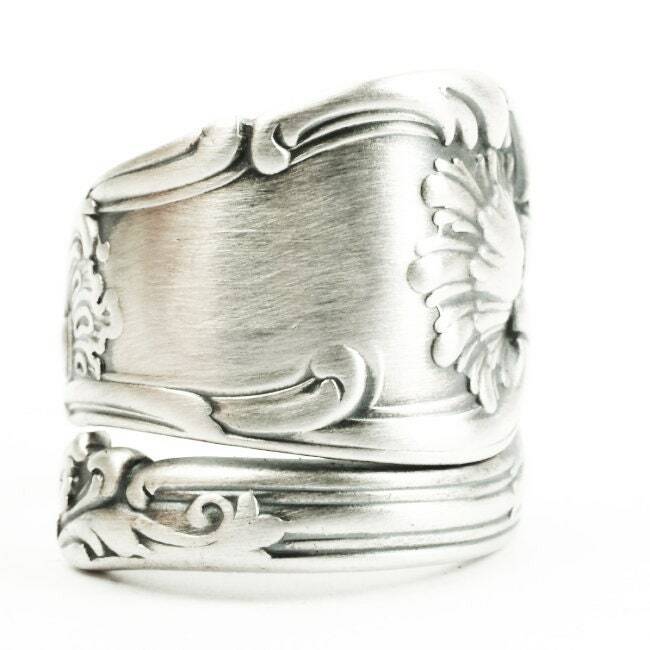 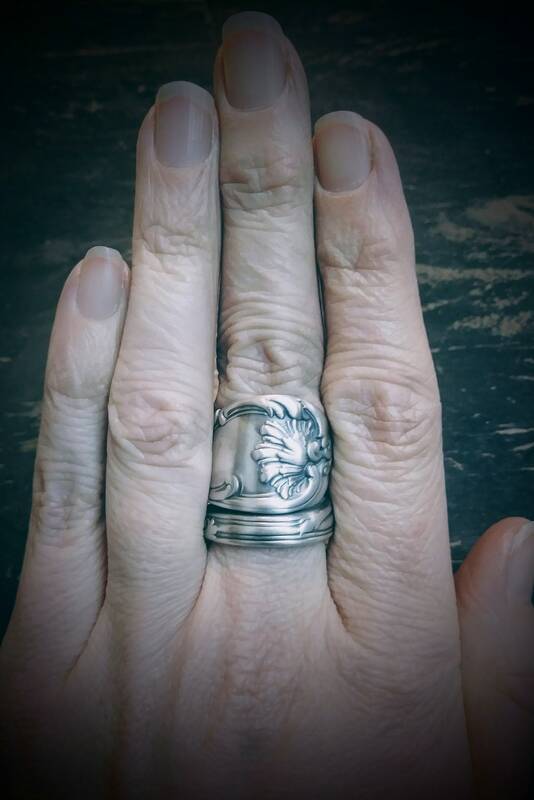 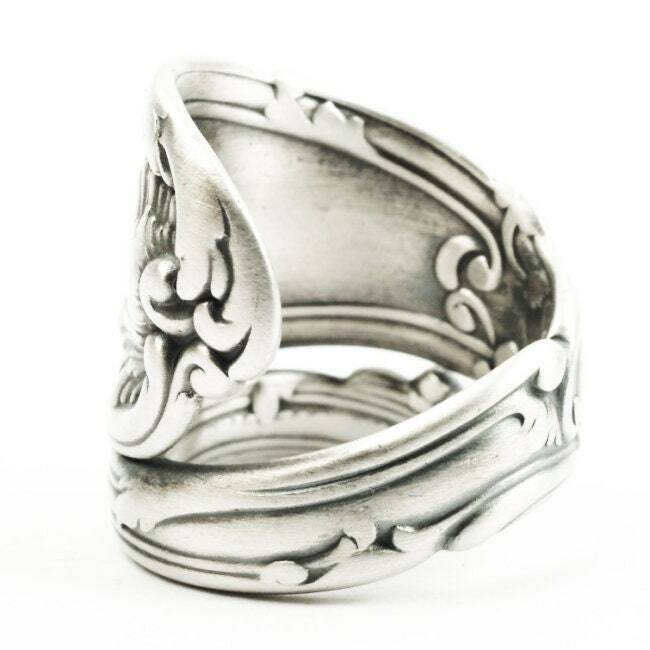 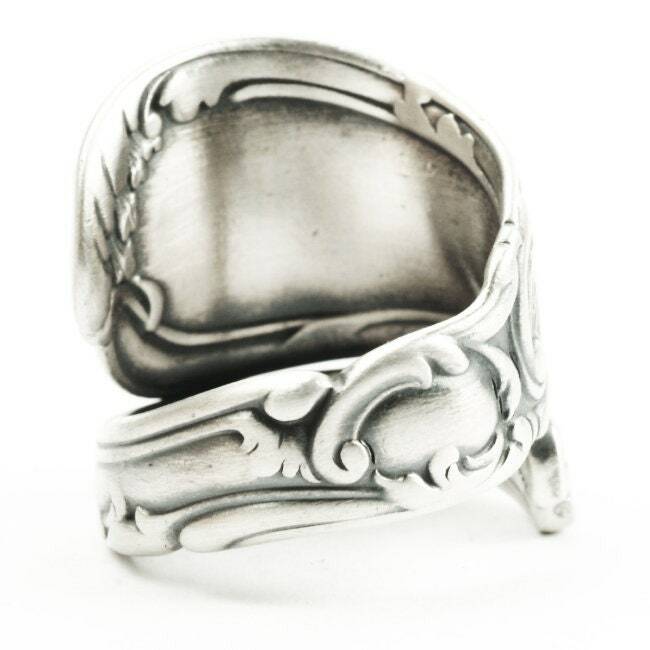 Unique scroll work makes this a very neat sterling silver spoon ring! 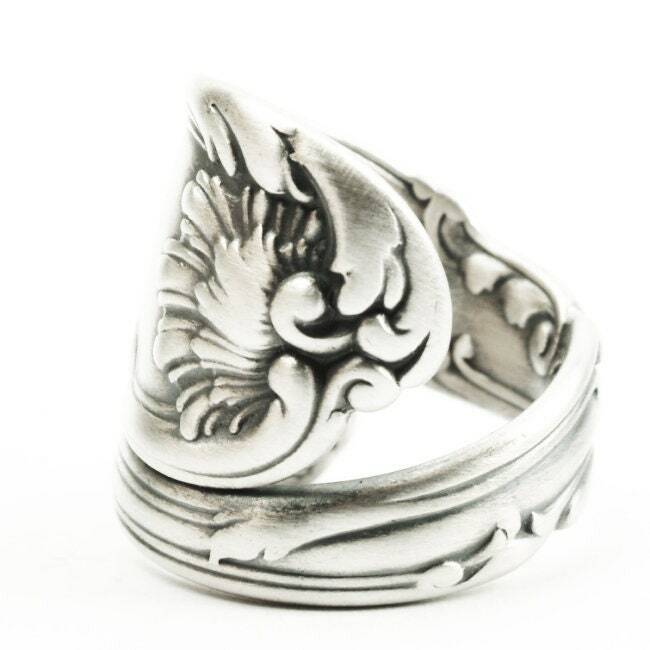 Stunning detail for an old pattern like this! 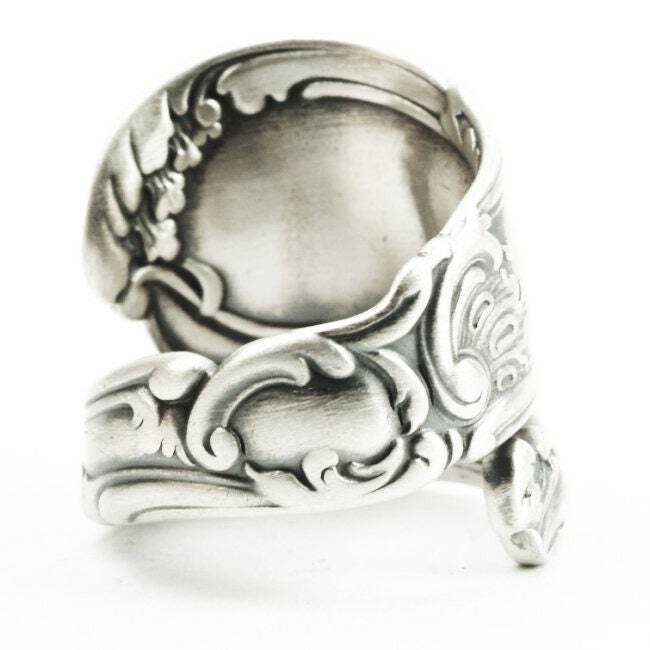 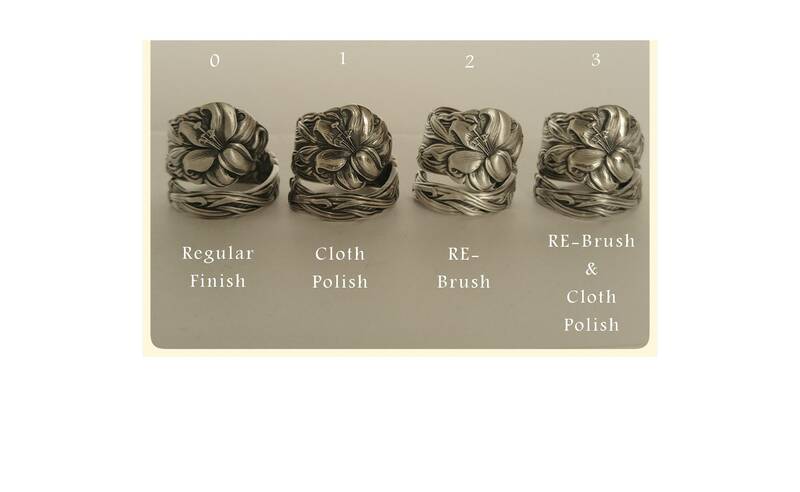 Rococo swirls along with organic elements make this a dazzling piece of cutlery history to wear on your finger! 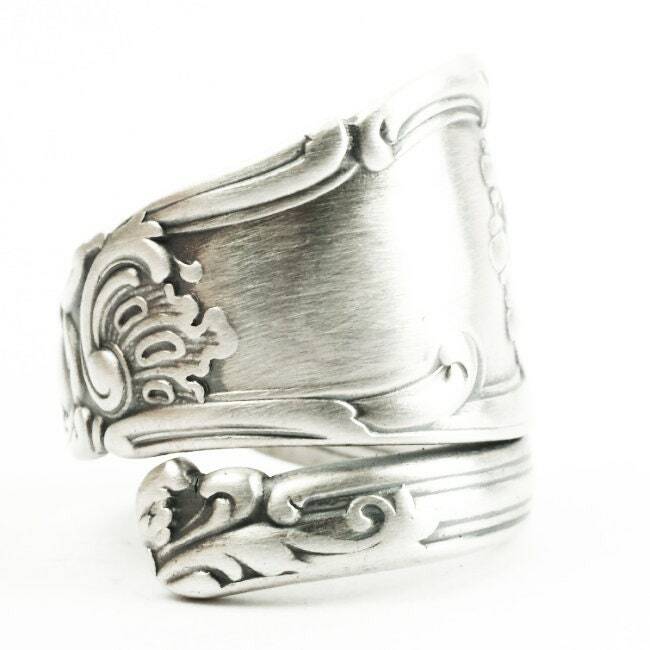 This spoon was originally made by Gorham in 1895 called, "Hanover".